Why a coach? For the same reason that you would expect to employ a fitness expert if you wanted to be the best at a sport, or business mentor if you wanted to improve your business performance…Your qualified health coach is able to discover the underlying health imbalances such as metabolic, endocrine, digestive and liver issues that may be causing your weight gain. She will also partner, train and support you in changing any unhelpful beliefs, habits and behaviours and in realising your goals, including achieving long-term weight loss. Mindful Eating may become part of the programme depending on your needs. Your Coach, Sheena Hendon is a qualified and registered Nutritionist, registered Naturopath & Medical Herbalist and NLP Master Practitioner with over 30 years of experience in and success with weight loss. TWO: The New You Programme. Check out Sheena Hendon Health Neuro Linguistic Programming consultations and programmes. This is a series of one hour long NLP/Kinesiology sessions focusing on changing limiting and unfulfilling beliefs and behaviours associated with overeating, as well as eating disorders such as bulimia and anorexia. This may include sabotage, exercise motivation, past trauma…We also teach Mindful Eating practices the NLP way. 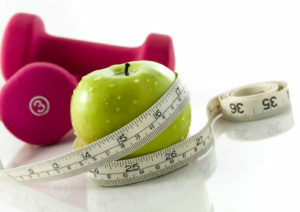 Our commitment is to partner our clients in achieving optimum health and wellness through permanent weight loss. Picky Eaters – Physical or behavioural problems?